Our pastor’s wife, Pastor Nellie, leads “Women of Fire” every Sunday, a dynamic ministry offered for the women of our church, Grace World Outreach. Recently, they discussed “Vision” in your life. I had the privilege of sharing my thoughts about “Vision for your Marriage” one Sunday. I’d like to share some of that with you for the next few postings because it’s an awesome concept for enhancing your marriage. Most of us, as little girls and teenagers, even adult women, visualized about the biggest day of our lives – our wedding day. We tried to imagine what that day would be like and dreamed about it for years. My friends and I continuously held pretend weddings in my backyard when I was a child. Usually, I wrapped myself in a soggy beach towel to symbolize my make-believe wedding dress (we had a swimming pool and lived in bathing suits all summer.) There was always a handsome prince waiting at the end of the aisle to sweep me off into happily-ever-after. The end. And that’s where the vision usually ends. Most couples do not think past the point of the wedding day; they are so busy preparing for the greatest event of their lifetime – and then afterwards, the shock of reality sets in. No wonder there is so much divorce in our world. 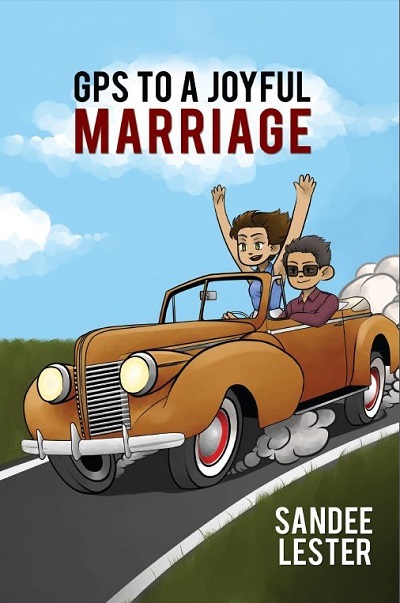 We have a naive expectation that we will always live in this pre-marriage state of euphoria, when that stage is just a hook to get us into the substance of marriage. These days, fifty percent of couples will bail out before they even experience the true joy that marriage can bring. I was just as guilty, maybe worse. When my husband and I met, he was dressed as Super Man and my nickname was Wonder Woman. We really thought we were invincible and would never have any problems and certainly didn’t need God. Seven years and two children later, we almost divorced. When entering into holy matrimony, most couples don’t see past the “I- just- want- to- spend- my- life- with- you” romantic stage. They don’t realize the sacrifices and adjustments and changes necessary to achieve a healthy marriage that will last the rest of their lives. What is it all about, this marriage thing? That’s what you have to figure out. What do you want out of marriage? What do you expect? What is your vision for your own marriage? How do you even figure that out? First of all, you must decide if you want a worldly marriage or a Godly marriage. The world tells us something completely opposite of what the Bible tells us about marriage, and we are inundated with ideas, many not so virtuous, about what marriage should be. Not to mention, we’ve become very selfish in our society and especially in our marriages, even Christian marriages. The minute one person is not feeling the love, they are ready to call it quits and give up on their marriage. Many gage their marriage success on what makes them happy. What we know most about marriage we learn from our parents, our main role models, and most of us come from either broken or dysfunctional families. How do we know what marriage should be like if we’ve never experienced a healthy marriage relationship in our own families? How do we figure it out? For a Godly marriage, we go to God’s word. 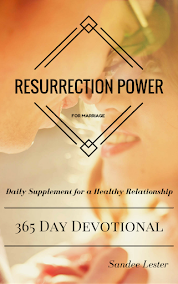 A healthy, Godly marriage, as God intended for us, is clearly defined in the Bible. Stay tuned for my next posting as I begin to compare what the world says about marriage to what the Bible tells us. This week, think about what the vision for your marriage might be.